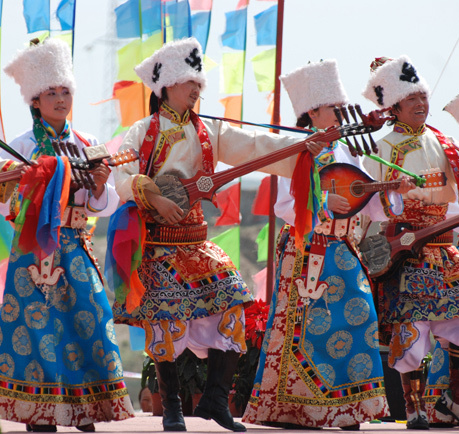 Like Chinese Spring Festival, Tibet has the most important spring festival. 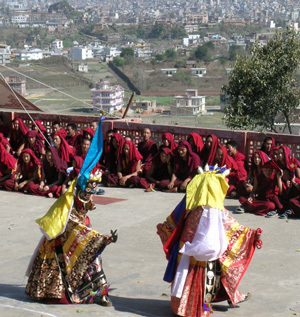 And people call this festival as Tibetan New Year or Losar on the Tibet calendar. Here the word of “Losar: is the Tibetan word for “new Year”. The Tibetan calendar is usually 4-6 weeks behind the solar calendar. 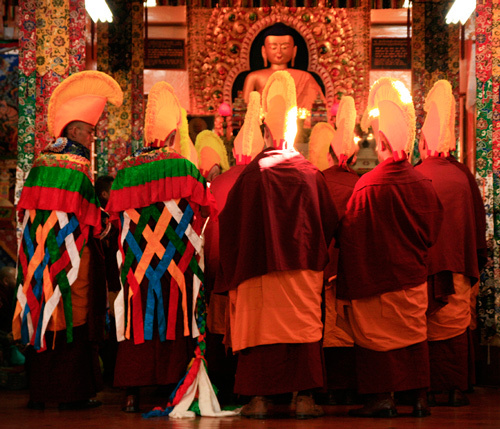 And the Losar begins on the first day. 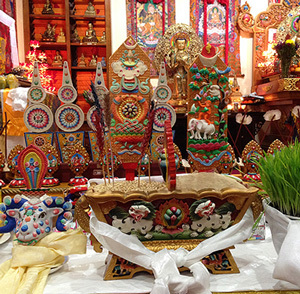 Tibetan People celebrate Tibet New Year for 15 days. And they have the main celebrations on the first three days. 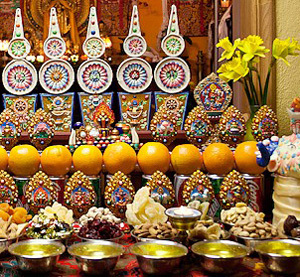 The last two days of the old year has a famous name of “Gutor” in Tibetan . On the first Gutor, the monasteries made special noodles called “Guthuk”. This includes nine different ingredients like dried cheese and various grains. On the second Gutor, people always clean and prepare for the coming New Year. And they go to local monastery to worship and give gifts to the monks. On the New Year’s Day, People get up early. And they have a reunion dinner during the day. They celebrate the festival by chanting, passing on fire through crowds and dancing.